You might be able to deduct some of your student loan interest, but it all depends. This guide will help you figure out how much you can legally write off. 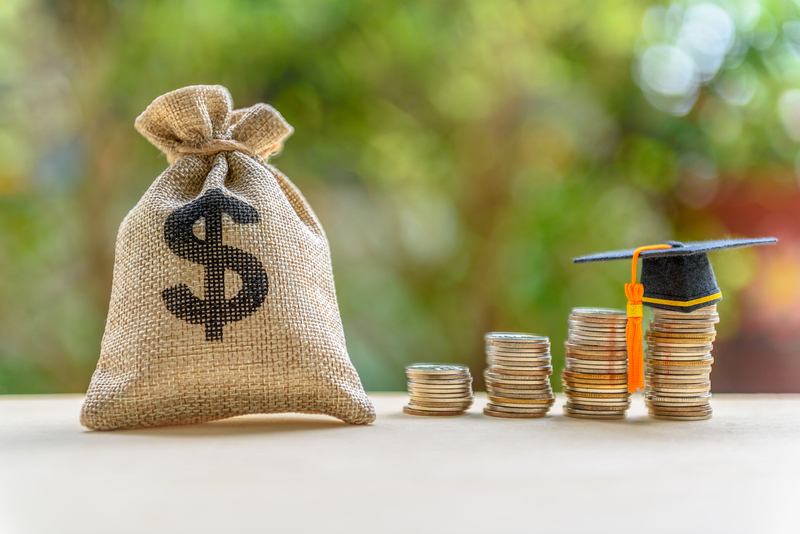 Student loans and taxes can both take a sizeable chunk of your earnings, but fortunately, the government offers a special tax break to those paying back student loans to help reduce the strain. The catch is, you can only write off the amount you’ve paid in student loan interest throughout the year, and only if you meet certain criteria. I explain this in more detail below so you know exactly what to do when you file your taxes. The student loan interest deduction allows you to write off up to $2,500 per year from your taxes in student loan interest payments. Because this is a tax deduction and not a credit, it reduces your taxable income instead of your tax bill. If you earned $40,000 this year and you qualify for the full $2,500 student loan interest deduction, you would subtract this amount from your $40,000, leaving you with $37,500 of taxable income. You can reduce this number even further if you qualify for additional tax deductions. Depending on how much money you make and where the income tax brackets fall for the year, your student loan interest tax deduction could push you into a lower tax bracket where you’ll lose a smaller percentage of your money to the government. Even if it doesn’t change your tax bracket, it can still save you up to $625 on your taxes each year. You paid student loan interest on a qualified student loan during the tax year. You were legally obligated to pay the interest -- that is, the loan is in your or your spouse’s name, if you’re married. You cannot claim this deduction for a student loan in your child’s name even if you were the one making the payments. You file taxes as single, head of household, married filing jointly, or qualifying widow(er). You and your spouse, if you’re married, cannot be claimed as dependents on someone else’s tax return. Your modified adjusted gross income (MAGI) is less than $65,000 for single filers, heads of household, and qualifying widow(er)s or less than $135,000 for married couples filing jointly. Single filers, heads of household, and qualifying widow(er)s with a MAGI between $65,000 and $80,000 may qualify for a reduced credit, as may married couples filing jointly with a MAGI between $135,000 and $165,000. Most of these requirements are relatively straightforward, but the last one may be confusing for those who aren’t familiar with adjusted gross income (AGI) and modified adjusted gross income (MAGI). Your AGI is all of the income you earned in a year, minus certain deductions, like tax-deferred retirement contributions, half of self-employment taxes, health savings account contributions, tuition and fees, and student loan interest. Your MAGI is your AGI with certain deductions added back in. So you add back your student loan interest, tuition and fee deduction, rental losses, self-employment taxes, and other deductions. The result is your MAGI. If you’re filing single, head of household, or qualifying widow(er) and your MAGI is below $65,000 for the 2018 tax year, you qualify for the full $2,500 student loan interest tax deduction, assuming you paid at least $2,500 in student loan interest throughout the year. If you paid less than this, then you would only be able to write off the amount you actually paid. The same goes for married couples filing jointly whose MAGI is under $135,000. Subtract $65,000 (or $135,000 for married couples filing jointly) from your MAGI. Divide this amount by $15,000 ($30,000 for married couples). Multiply this amount by the total student loan interest you paid in throughout the year, or the maximum deduction of $2,500, whichever is less. Subtract your result from Step 3 from the total amount you paid in student loan interest or $2,500, whichever is less. The remainder is the amount you can write off on your taxes. For example, if you’re a single adult with a MAGI of $70,000, you would subtract $65,000 from this, leaving you with $5,000. You would divide this by $15,000, which comes out to one-third. Then, you multiply this by how much you paid in student loan interest. If you paid $2,500 or more, you end up with $833. Subtract this from the $2,500 and you end up with $1,667. This is how much you can claim for a student loan interest deduction. Single filers, heads of household, and qualifying widow(er)s with a MAGI over $80,000 and married couples filing jointly with a MAGI over $165,000 aren’t eligible for the student loan interest deduction. If you paid more than $600 in student loan interest throughout the year, your lender is required to send you a 1098-E form, listing how much you paid in interest throughout the year. You’ll find this number in Box 1. You can still write off the interest even if you didn’t receive a 1098-E, but it’s up to you to figure out how much you actually paid in interest. If you aren’t sure, reach out to your lender directly to ask. Hold on to any records you have showing how much you paid in interest. If the government audits you, you’ll need these to prove your deduction was legitimate. You’ll enter your total student loan interest deductions on Line 33 of your Form 1040. If you’re using a tax filing software, it should prompt you to enter the amount you paid in student loan interest. It will also calculate the amount of the deduction you’re entitled to if your MAGI is too high to qualify for the full student loan interest deduction. You don’t have to itemize your deductions in order to claim the student loan interest tax deduction, though you can if you want. If you run into any questions about deducting your student loan payments, it’s best to consult with an accountant or your student loan servicer before filing your taxes. The wrong answer could lead you into trouble with the IRS.